Tufted Duck (Aythya fuligula). Male. Taken at Otmoor, Oxon on May 25th 2014. Male. Taken at Otmoor, Oxon on May 25th 2014. Tufted Duck (Aythya fuligula). Female. Taken at Farmoor, Oxon., on November 22nd 2018. Female. Taken at Farmoor, Oxon., on November 22nd 2018. The Tufted Duck is a medium-sized diving duck. The male is black on the head, neck, breast and back and white on the sides. It has a small crest and a yellow eye. In flight it shows an obvious white stripe across the back of the wing. Females are uniformly dark brown. 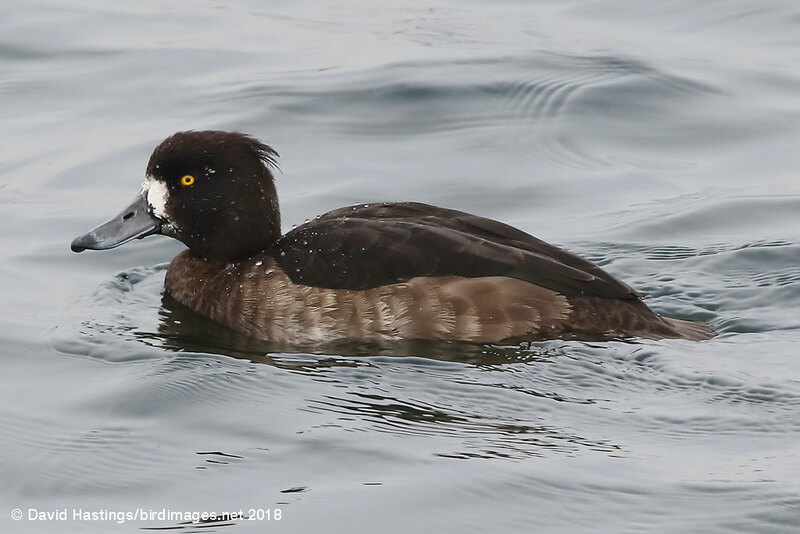 They sometimes develop a white Scaup-like patch at the base of the bill. It breeds in the UK across lowland areas of England, Scotland and Ireland, but less commonly in Wales, with most birds being residents. Numbers increase in the UK in winter because of birds migrating from Iceland and northern Europe. It is versatile in its choice of breeding habitat; most slow-flowing or still waters are used. 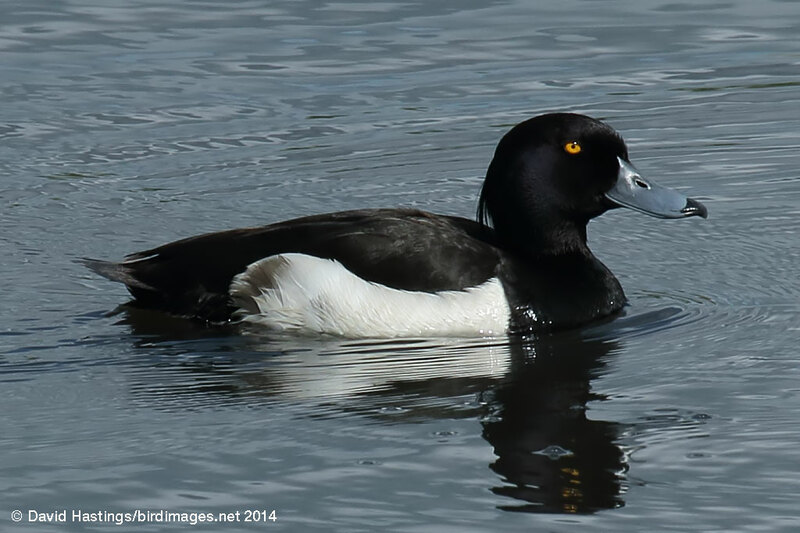 Outside the breeding season the Tufted Duck is gregarious, forming large, dense flocks. This species has amber status. Between 7000 and 8000 pairs breed in the UK. The winter population is around 120000 birds.